Hands up who’s eyeing up the mermaid life right about now? Because having a talking fish and a crab as BFFs are our kinda squad goals. And let’s not forget the hair, with aqua tones of pastel blues and that tempting turquoise, where do we sign up!? Just landed! Make waves with our LIVE Sea Mermaid shade and you’ll be flicking those tresses in no time. Coveting the best-tressed crown? This Purple Punk meets Electric Blue hue is perfect through the winter season, but will look equally at place at those summer fests. Obsessed. Opt for a two-tone aqua look, going intense with our LIVE Electric Blue at the roots and pastel with our LIVE Turquoise Temptation through the mid-lengths. Smudge the colours together for a <3 shade. When unicorns and mermaid collide, serious hairspo happens. Choose whichever shade you’re feeling from our temporary Pastel Spray range and blend for instant YASSS-factor. Beachy keen! Dip dye your locks using our LIVE Electric Blue shade and finish the look with some got2b Salt Spray for added mermaid credentials. Take the look up a notch or two with three tones of colour to crush on. 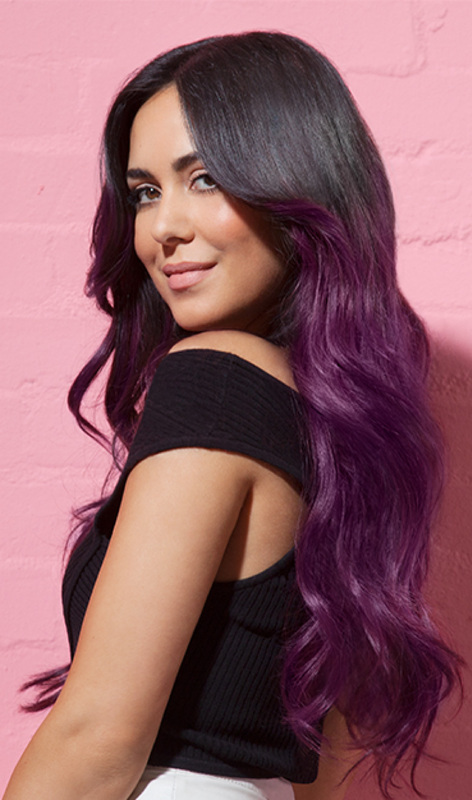 Just blend your blue with our LIVE Purple Punk for a MAJOR look.